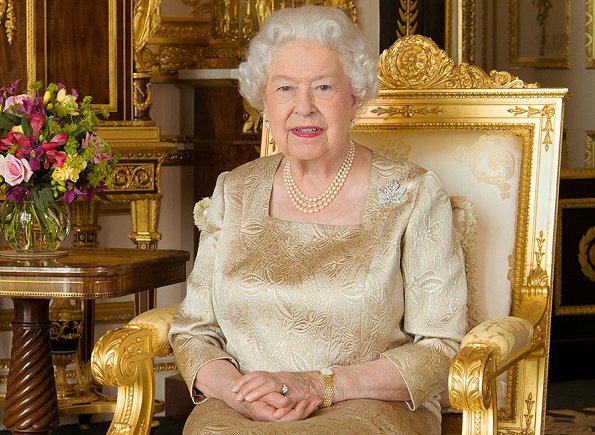 Buckingham Palace released a new portrait of the Queen Elizabeth II to mark Canada’s 150th “birthday” on July 1. The Queen wears the platinum-and-diamond maple leaf brooch she inherited from her mother Queen Elizabeth, the Queen Mother. 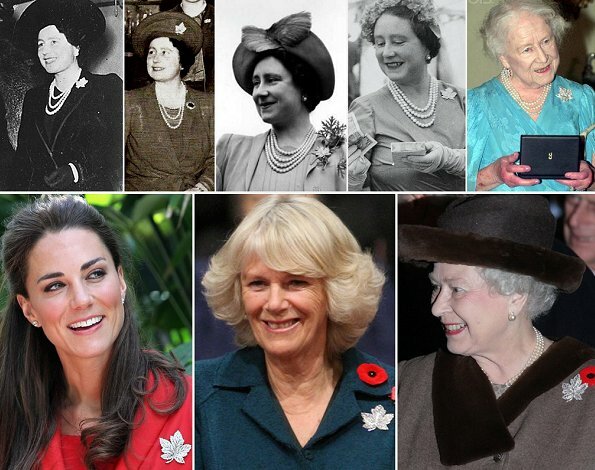 The he platinum-and-diamond maple leaf brooch has been worn by a succession of royal women from the Queen Mother through to the Duchess of Cambridge. Beautiful photo. Love it. She looks happy and healthy!